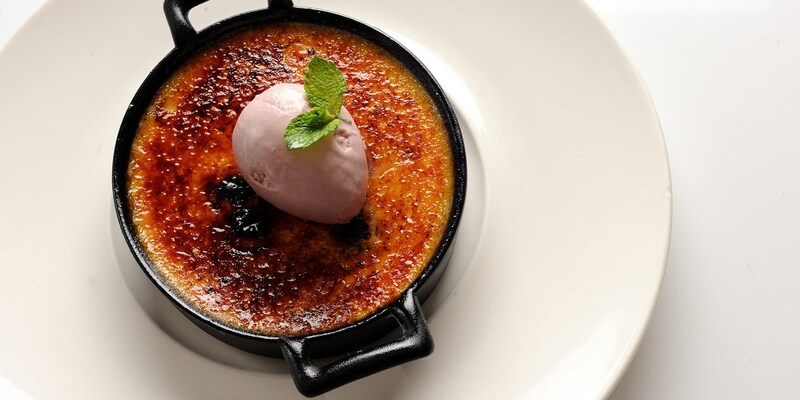 Crème brûlée is a popular French dessert consisting of a rich custard base with a wonderful shield of hard caramel on top. The delight of breaking the caramel with the back of a spoon and hearing that 'crack' sound as the custard is revealed beneath is almost as satisfying as the taste. Delve into this gorgeous collection of crème brûlée recipes and try Eric Chavot's classic crème brûlée, Geoffrey Smeddle's unusual raspberry and lavender recipe or Stephen Crane's inventive tonka bean crème brûlée.